RSPCA Queensland saved the lives of 1000 animals over the past year thanks to the launch of its digital ‘Surrender Portal’. The digital service is aimed at changing customer behaviour and boosting customer experience by giving pet owners access to service and support information with options. RSPCA Queensland partnered with Brisbane-based digital agency, Liquid Interactive, to build the portal. The motivation for the portal was helping the charity solve the costly and distressing issue of an excessive number of pets being surrendered by owners each year. A data-led digital solution, it delivers contextual answers relevant to each owner, their pet and the specific reason for surrender. 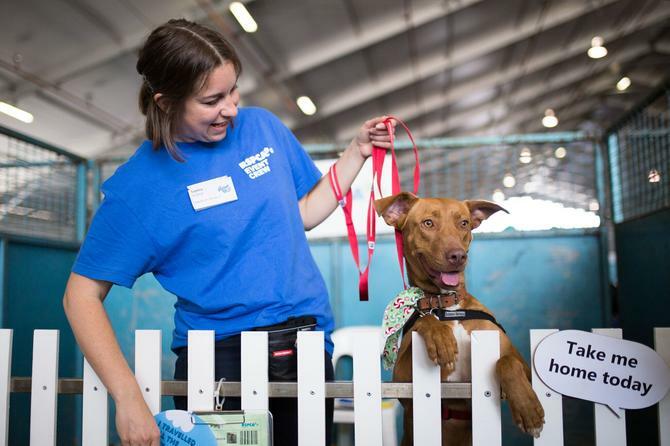 Twelve months in, RSPCA Queensland head of marketing and customer experience, Ronelle Reid, said there has been a 22 per cent decrease in surrendered pets across Queensland, while 1100 animals have stayed with their owners. The agency has also saved RSPCA Queensland $800,000 in animal care costs against an initial marketing investment of $60,000. Reid said 5000 animals, including dogs, cats, horses, lizards and mice, were surrendered last year, draining resources by more than $3.5 million. Most likely, customers just needed the right information, at the right time, for surrender to be preventable, she said. “Many of the reasons why people were wanting to surrender were things we knew were avoidable. There were services out there that could help them, whether that’s dog training or daycare, or even a vet, but all of this information was in random places and people just didn’t know how to go about finding it,” Reid told CMO. Typically, pet owners were inundating RSPCA’s call centre with countless inquiries, and while there were a range of solutions given to customers, the process of information-sharing was scattered, dispersed and not easily accessible. “We needed something to make it really simple for people to self-service and to find that information easily. We could give people information, but it took a lot of time. When Liquid brought up this idea to integrate it all, it was a logical way to go,” Reid said. Unlike a campaign, which can be costly and short-lived, the portal gives the RSPCA more of a sustainable, digital solution to fix an ongoing problem, Reid continued. It is not only changing customer behaviour by giving people access to essential and timely information in the customer’s moment of confusion and uncertainty, but also giving the RSPCA the ability to achieve some sustainable results. “We’ve saved over 1000 animals, which is a pretty significant change,” she said. The cost savings now means more money can go into other life-saving projects, medical resources or even inspectors on the road. Reid said the project took two years from inception to ‘go live’. RSPCA accumulated 800 reasons for surrender from the public, and matched these responses with scores of appropriate services and solutions. Notably, the top five reasons for surrender are: Unwanted litter; affordability issues with and taking care of a pet; moving house or travelling; change in home or personal situation; and inability to find a home for the last puppy or kitten in a litter. “It was a really integrated project to be able to work with the customer face of our call centre and our intake desk to say, ‘how do we help this situation and to make a really graceful digital solution to be able to solve that problem and not to have something that was not going to actually fit the bill’,” Reid explained. Liquid Interactive managing director, Michael Burke, said many of the reasons for surrender were preventable – all the company had to do was equip customers with the right information, at the right time, to successfully intervene. “We know from experience that using a marketing campaign to change customer behaviour is hard, expensive and difficult to sustain – so, we explored alternative options that would achieve the same result – and the concept for the Surrender Portal was born,” he said. Liquid Interactive creative director, Andrew Duval, added the portal was a good example of using a service design, instead of a campaign, to influence an audience. “If you look at this as a straight marketing problem, you come up with campaign ideas targeting attitudes towards pet surrenders. But you’d never be able to cover all the permutations,” he said. “This is one of those situations where designing a genuine digital service solves the problem more effectively. Reid said the rollout of the portal, and its ongoing success, has also changed people’s mindset within the organisation and particularly the marketing department, about the power and role of technology in making a difference in animal welfare. “We’ve got a little bit of technology here and there [including the dog training school database], but we’ve never really thought about it in terms of using technology to stop animals from coming into the facility. It’s always been the belief that we can’t stop the flow; we just have to adopt out. And we can never adopt as many animals as we get in - there just aren't enough homes,” she said. Reid also believes the rollout of the Surrender solution enables the organisation to stay on top of the evolving consumer landscape and to keep instep with customer demands. Reid said “the sky’s the limit” in terms of using digital solutions to boost the customer experience and brand awareness. This could involve personalisation by location and issue. “We would look at how we can perhaps take one of our campaigns like ‘Operation Wanted,’ which is our desexing campaign and then target specific locations that have a desexing issue, where there’s an overpopulation of animals, to really engage the community,” Reid said. The main goal is to offer solutions to real problems, in a very human-centric manner. “At the end of every dog lead is a person, so we have to really consider that person and that human side of everything to every animal problem that we encounter,” Reid added.